According to international standard,the qualified commercial use timber laminate flooring should reach the AC4 wearing rating standard. Currently timber laminate flooring wearing resistance is classified in EU standard by AC1-AC5 five ratings,in which AC5 is the top rating.Now in the laminate wood flooring market of China, AC2-AC3 laminate floorings are the most widely used types for private home decoration.AC3 timber laminate flooring is the mainstream products not only in the market of China but also across the world. Based on above,AC4 is to be the most widely used commercial site use laminate flooring.According to the report of the biggest laminate flooring top layer decorative paper manufacturer -MEAD in USA,the top wearing rating AC5 reached 76g/m2,which means the flooring surface is capable to endure 15000round wearing test. 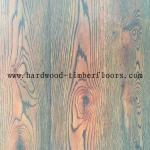 On the other hand,the laminate wood flooring wear rating could be classified by toplayer coating wieght.For exmple,if we say 45g/m2 standard laminate flooring,that is euivalent to AC4 wear rating.When we say 38g/m2 standard decorative layer,it means AC3 wear rating timber laminate wood flooring. As a matter of fact,AC4 wear rating = 9000R OR AC5 wear rating = 15000R etc. 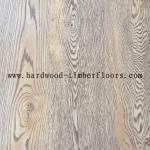 It's just a indicative parameter but not absolute standard.When we say a laminate flooring with 45g/m2 decorative layer,it could be considered as the wear rating in a range of 7000-12000R,8000-11000R etc. 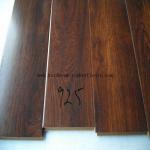 If we talked 76g/m2 standard laminate flooring wear paper,it probably means 13000-15000R wear resistance in test. Anyway,as AC4 is only a indicative parameter for timber laminate wood flooring,when we say AC5>AC4>AC3, it is absolutely correct.And remember public use timber laminate wood flooring with AC4 & AC5 rating are necessary!